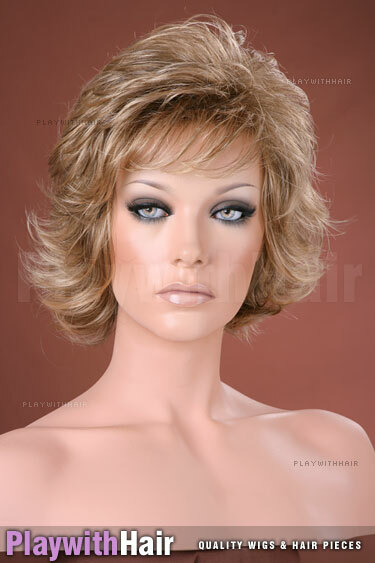 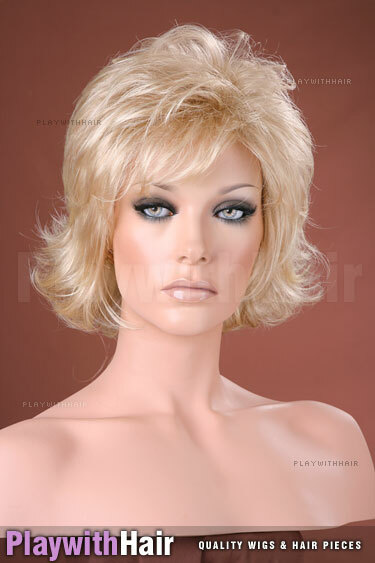 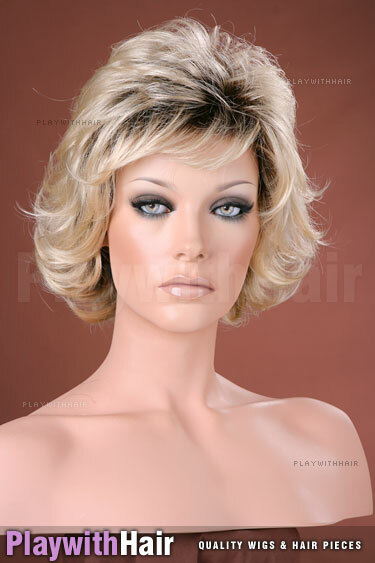 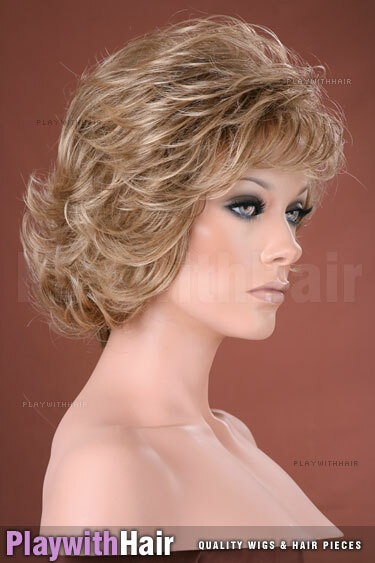 A superbly flipped style with loads of body come together to give you this absolutely ravishing new wig! 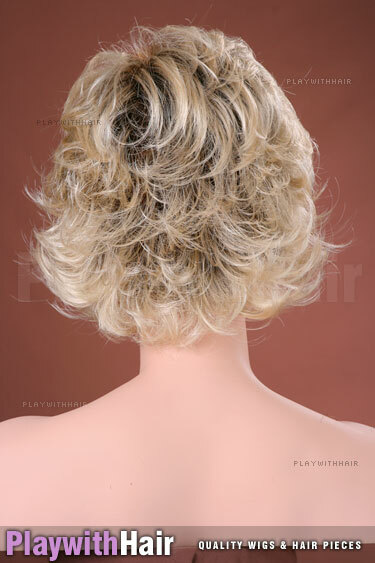 Cute flicks and varied lengths through the hair give it total versatility... 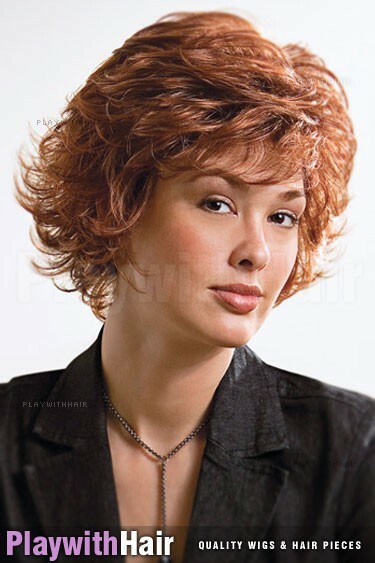 Wear it full, sleek it down, the choice is yours! 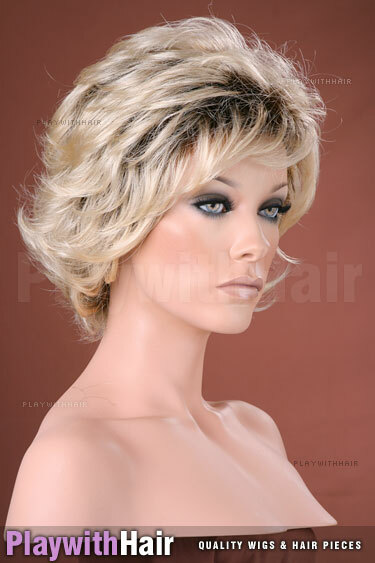 Weighing just 2.30 ounces (65.2 grams), this lightweight piece is so simple and comfortable to wear! 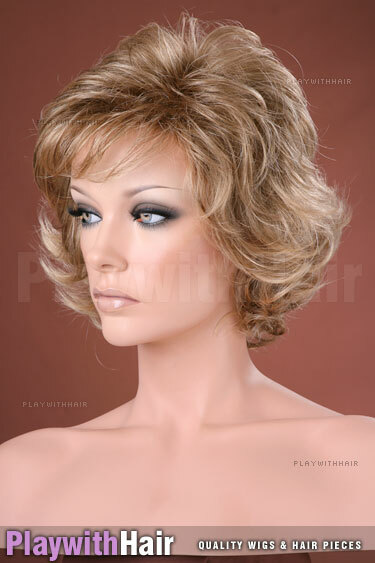 This is a top designer wig, and the quality is absolutely sensational - it also features a 100% capless feather light construction and super thin weftings for a light breezy wear. 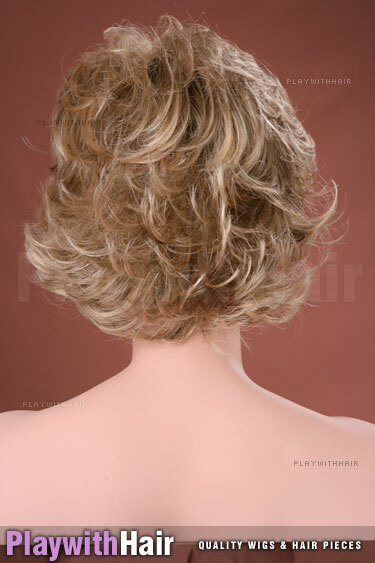 1226r Blonde Brown Roots The color of this piece is 12/26r, a lovely natural honey blonde with blended golden brown roots!